I know that everyone else has known about Tabletop for a little while now, but it's rather new to me. I recently powerwatched most 38 or so episodes and I've fallen in love with it. And because of this show, I now have a crush on Sean Plott and Troy Baker. 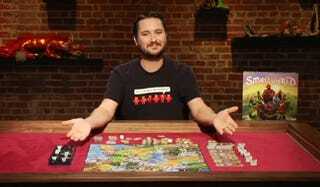 If you haven't seen an episode of TableTop, do yourself a favor and watch one. They are all great; however, I still can't bring myself to watch the Fiasco episode. I had a bad experience with that game once and the wounds still haven't healed. 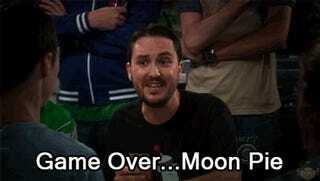 Also, WIL WHEATON GIF PARTY!! !